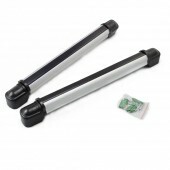 The item you are viewing is a Body Scanning Metal Detector and it is especially suitable for the application in dead angle position where other detectors can’t go because of the detecting part in rod shape. 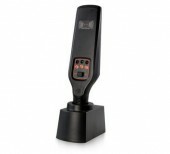 Besides the rotating magnetic field design makes it having the ability to work in 360 degree range. 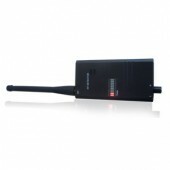 And since it owning self-diagnosis mode, automatic identifying environment and automatic balancing function. What’s more there are three parts –on, off and vibration of the control part while for the indicator part, the Red LED indicates alarming, green LED indicates power supply and yellow LED indicates insufficient battery voltage. If so this is really easy for you to remember. 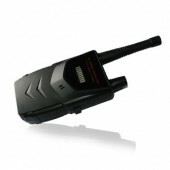 In addition, the vibration alarm mode available is also available. Such kind of metal detector can be used in places like factory anti-theft， chemical plants, refineries, electronics factory, metal factory, plastic products factory for security use or used as education system for college entrance examination and exam. I bought it last year, and it really works well until now. Works well and helps me a lot to ensure security. 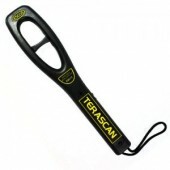 The metal detector is really good in quality and the price is not expensive.